Post Updated November 30, 2014. As some of you are well aware, I’ve been a colorist for King Features since the late eighties. 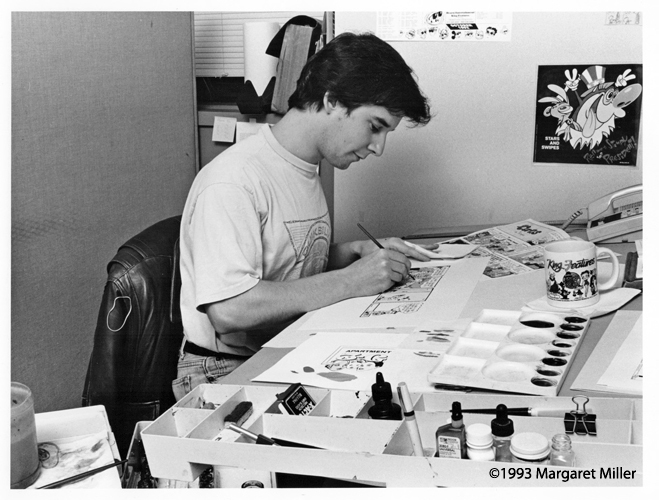 When I first started out I was on staff at King – part of the King Features Comic Art Department. Jim Keefe – Portrait of a young colorist. Picture from Funny Papers – Behind the Scenes of the Comics. Vertis Communnications down in Irving, Texas does the color separations, so my job is to provide them with a color guide. 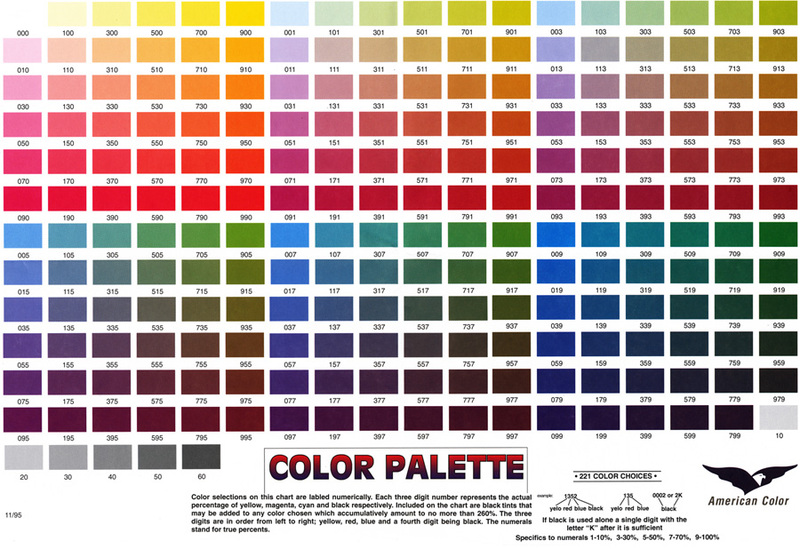 Here’s the color palette I use. Using watercolor, I color the black and white art and then put in the color indications using the numbers from the color palette. The actual watercolors don’t have to be exact. That’s what the numbering is for, so there’s no mistake regarding what the exact color I intended should be. 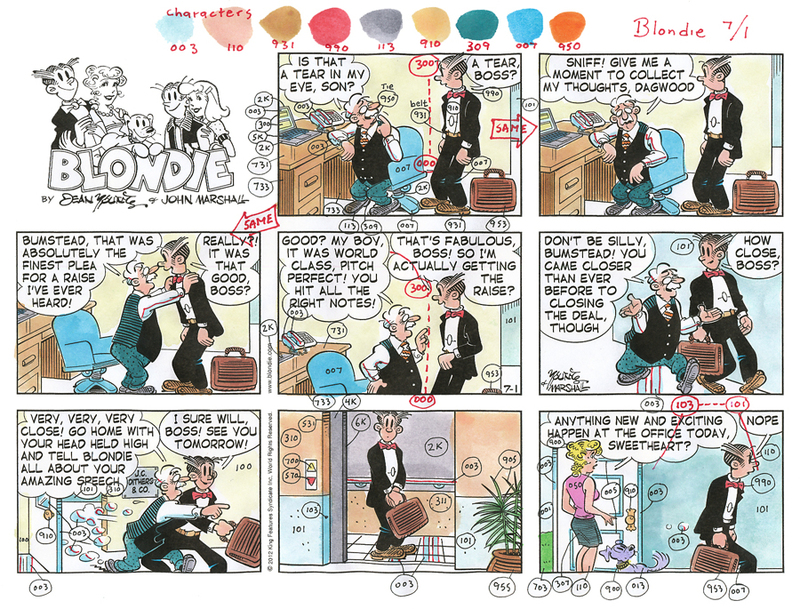 Color guide for Blondie 7/1/2012. And here’s what the finished version looks like. This entry was posted in King Features and tagged King Features. Bookmark the permalink. I am very interested in how comics used to be colored, I try to find as much reading material about it as I can but there is a lot on the subject that I can’t find. I was wondering if you could tell me what kind of paper that is used when using watercolors to color the comics? I’ve tried using just regular copy paper but it tends to buckle a lot (Is there anyway to prevent this?) and the paper used for some of the professional color guides that I have collected seems to be different then what I use. I was thinking it was some type of specialty paper that was manufactured by the publisher that they used considering that a lot of them have there own watermark within them. For a color guide I use regular copy paper as it’s just a guide and it doesn’t mater if it buckles a little. When I am printing directly from my watercolors I use illustration board that’s thick enough that there is no buckling – then scan it. I know this is an old post, but I hope you will see the comment anyway. 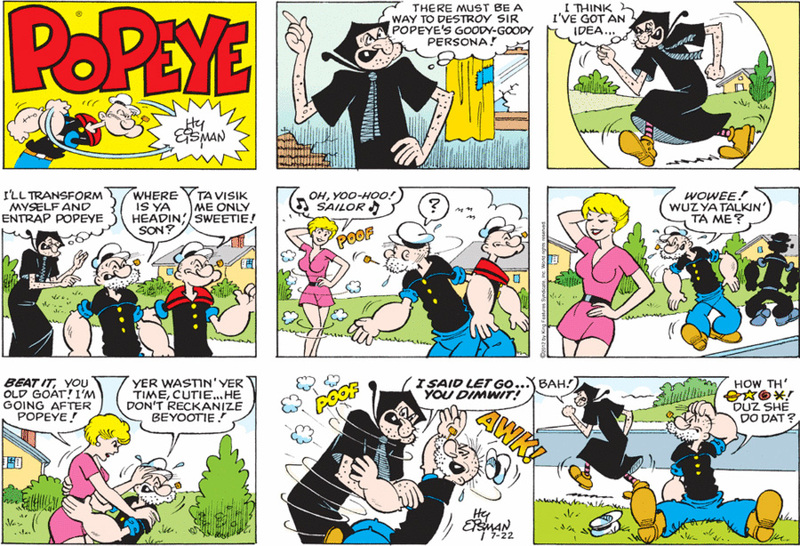 I was under the impression that the artists did their own coloring on the Sunday strips. Apparently, some are happy to leave it to a syndicate colorist to do it? Does that explain why some of King Features’ classic Sunday strips are in black & white? The original line art survived, but not the coloring instructions? Your explanation was quite interesting. I assume you do your coloring on a copy, rather than on the original line art? Also, are you still doing this with the water colors rather than on a computer? If so, why do you prefer the water colors? You’re right. 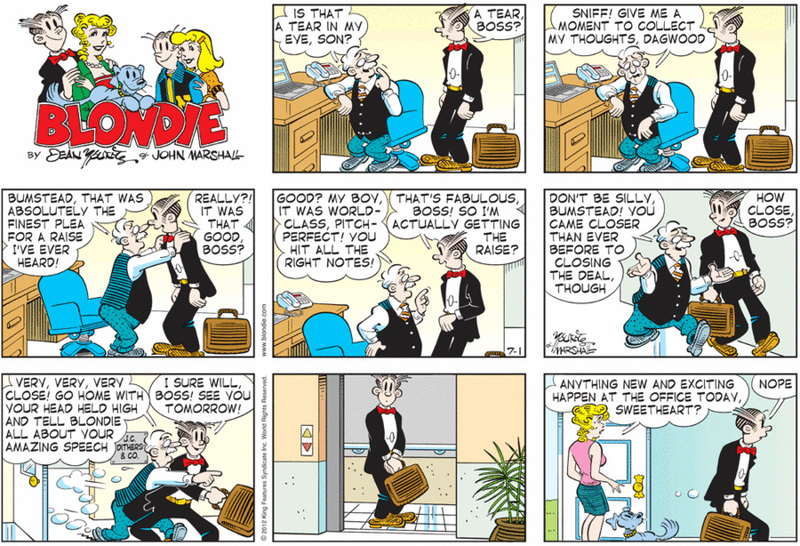 Most artists do color their own Sunday strips. 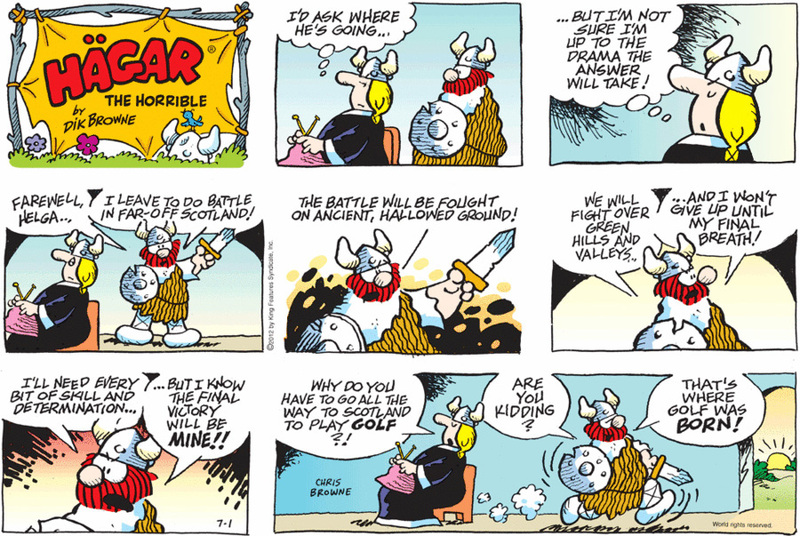 There is just a handful of strips that don’t, and I have been coloring them for decades, so they trust me. I do it on a copy. And I started coloring them before computers entered the mix (in the 1980s), so it’s actually faster for me to do a color guide with watercolor than on the computer. Though I am able to do it digitally as well – and if finished color is needed, do so. 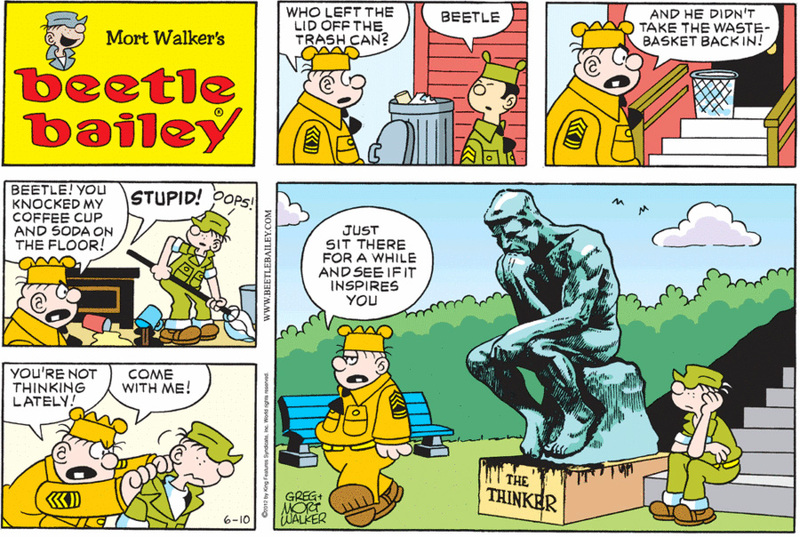 Regarding why some of the classic Sunday comics are in black and white – it’s just a matter of what King has on file. If color is readily available they opt for color, but if not they run black and white. Hoping that’s answered some of your questions. Thanks for the interest and thanks for writing!